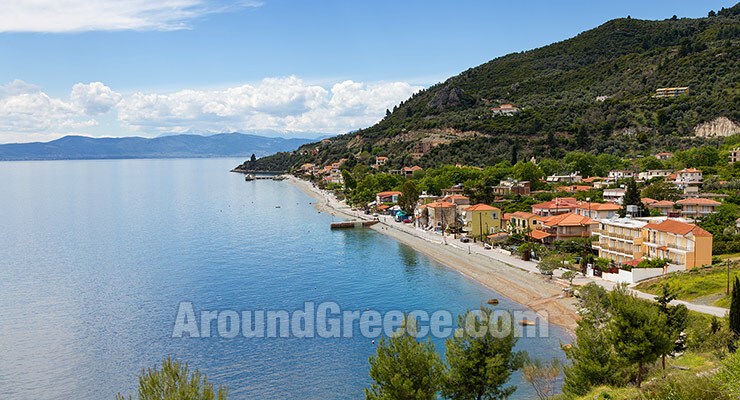 The island of Evia is the second largest in all of Greece and is one of the most beautiful and interesting destinations for your holidays and travels and is ideal for visiting any time of the year. 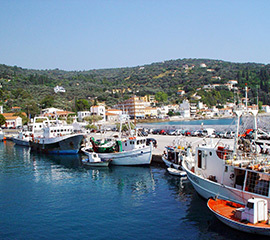 Evia island is located on the eastern side of Greece and stretches up from across the coast of Rafina, which is to the east of Athens, to the region of Fthiotida in the north. 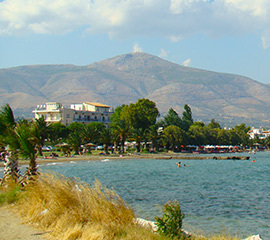 The island doesn't actually have an airport, though it is very easy to reach from either Athens in the south or Thessaloniki in the north . 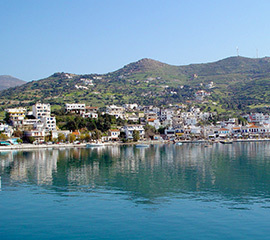 There are ferry services from Glyfa to Agiokambos and Arkitsa to Edipsos in the north, and from Rafina to Marmari in the south. 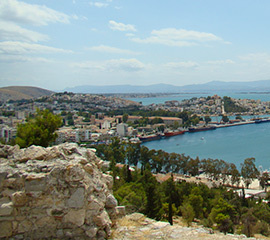 You can also travel across to Evia by road via the bridge connecting the mainland with the capital city of Chalkida, which is just an hour away from Athens. 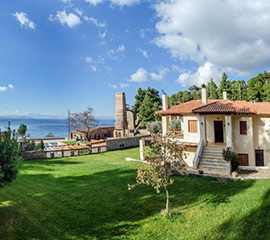 There are many beautiful destinatins all across Evia that are ideal for relaxing and enjoyable holidays, and the island is well developed to cater for tourism. 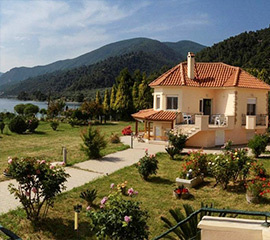 Evia has lots of interesting sights and places of interest as well as lots excellent beaches all around the coast where you can enjoy swimming and watersports. 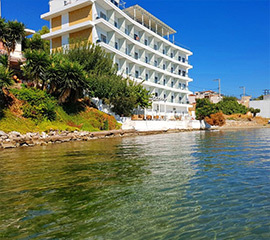 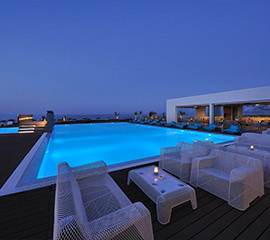 In the north of the island is the famous spa town of Edipsos, and visitors head here from all over the world who come to experience the natural spa waters that are found here. 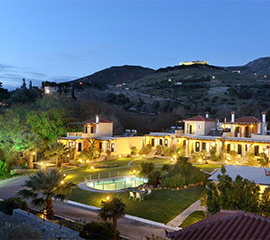 There are lots of great hotels in the town including many where you can enjoy enjoy spa water treatments. 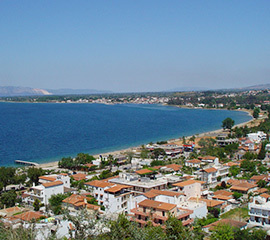 In the central part of Evia are the towns of Chalkida and Eretria, both of which are very popular destinations for visitors to the island. 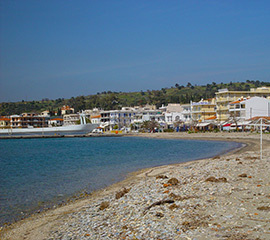 To the southern part of Evia are some lovely locations such as Marmari and Karystos. 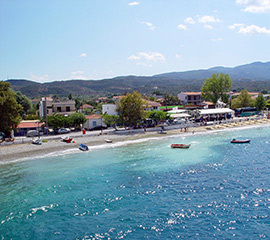 Evia really is an island you need to explore to fully appreciate. 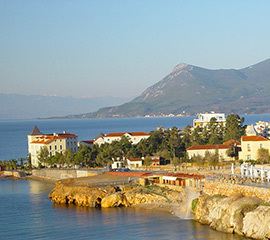 You can trek around dense forests, enjoy various outdoor sports, as well as enjoy the beautiful beaches and crystal clear waters. 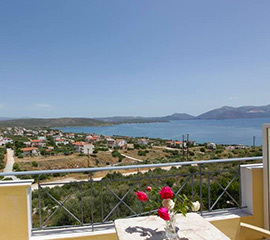 You will find a great range of accommodation all around Evia including hotels, apartments, studios and rooms to let. 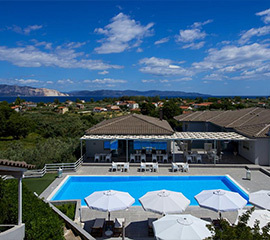 There will be something suitable for everyone, so whether you are travelling alone or with family, you will easily be able to find accommodation for your specific requirements.